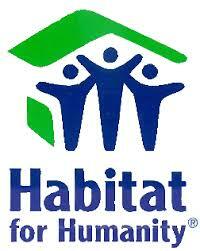 Habitat for Humanity San Diego (2014) has reserved Saturday, November 8, for a home building project for Faith Presbyterian Church. 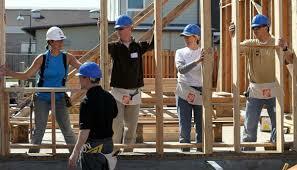 We can send up to 15 volunteers to Imperial Beach to help build a home for one of their recipients. The Mission Committee is now recruiting volunteers from among members of the church, college groups, neighborhood, and anyone else interested in performing this service. If you want to drive in nails, apply some paint, help make box lunches, or help in any way, fill out the contact form below or call the church office (619: 582-8480) and ask to contact Joe Huffaker or David Helkenn to reserve your place. If you cannot volunteer, but still want to help, consider making a donation, especially since we’re not asking volunteers to pay a participation fee. We don’t want to discourage anyone with a heart for service from helping just because they can’t pay. 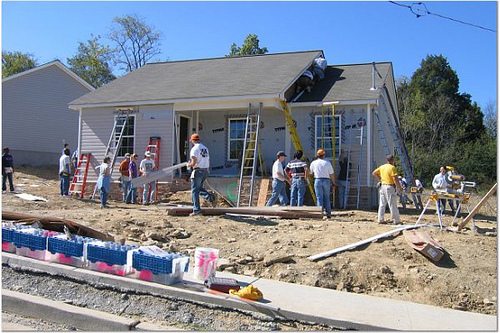 Since most people can volunteer to help Habitat on the weekends, Habitat raises money by charging an average of $100 per person on the weekends. So, if you can help with donations, we would most greatly appreciate it! Volunteers should plan on spending all day – from about 8 AM to 4 PM. Closed-toe style shoes are required! 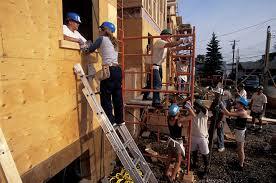 Tools and materials will be provided and instructors will show you the basics, if needed. The Mission Committee will help arrange transportation. Faith PC will even provide a box lunch for you. So, what are you waiting for? It will be fun and satisfying. Mark your calendar and talk to Joe or David, and enjoy a day of service! To sign up, fill out the contact form below. Elder David Helkenn will contact you once he receives your form!